Why was DMM.HeHe Ltd created? What major problems does the firm solve that most of its peers in Rwanda can’t? DMM.HeHe was born out of a college project while I was attending an MIT incubation program on mobile technologies. Our vision was to create a world where, through the power of mobility, geographical barriers to information and services would seize to exist. We build mobile-first geo-location technologies enabling any business to offer their products or services on-demand, turning your typical mom and pop shop or traditional market into a fully automated e-commerce business for as low as $20 (Ksh2000). Attaining this level of scale and affordability is the key differentiator. What inspired the business’ name DMM.HeHe and what are some of its products and services? HeHe means ‘Where’ in Kinyarwanda. We have been building geo-location technologies since our founding to bridge information and service gaps that would typically exist due to distance. We are currently digitizing the agriculture, consumer goods and healthcare value chains, providing supply-chain solutions to match demand and supply such as warehouse and inventory management, digital payments, last mile delivery and e-commerce services. What are some of the most significant achievements recorded by the firm over the last few years? DMM.HeHe has had quite a number of accomplishments but if I were to pick a few, the launch of our Research and Innovation arm in 2013 that has graduated over 400 youth to-date and launched great mobile technology startups and products would be one of them. Obviously, our recent acquisition (by Japanese firm DMM) is another huge milestone that has allowed us to have much greater reach and impact. DMM.HeHe has attracted two key accolades in the past; its founder was named one of Forbes 30 under 30 while the firm won $50000 grant from Inspire Africa contest in 2010. What role has each of these two remarkable awards played in the life of the business? Accolades for us have always been a reminder that we are appreciated. These for us were fuel when we faced challenges common to any start-up. They also created confidence in the market that often resulted in business opportunities. 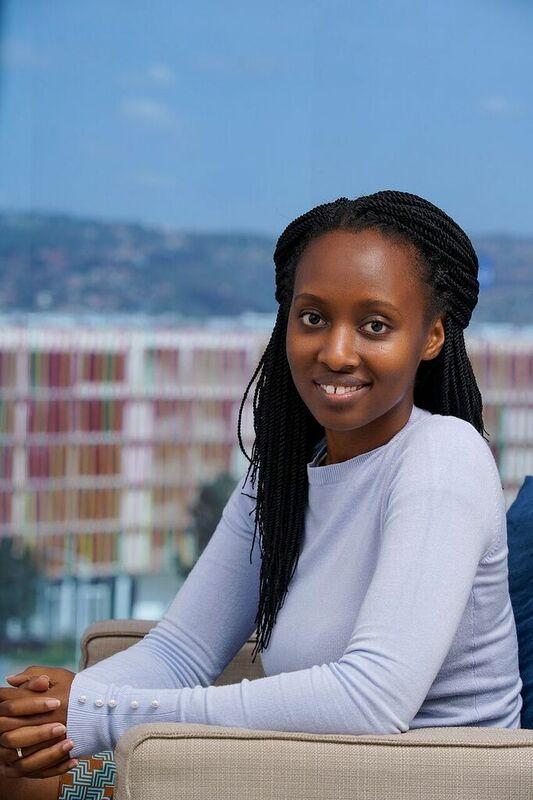 With the gradual increase in the number of entrepreneurs in Rwanda, more multinationals have been enticed into partnerships. Who are some of your most crucial local and multinational partners? How have your engagements impacted your target markets? Besides our investors, we have other partners such as Coca-Cola EKOCENTERS with whom we are partnering to improve the retail experience for less privileged consumers. We have also partnered with several education institutes in the areas of applied research for scalable deployment of relevant and impactful technologies across the continent. These partnerships have enabled us to impact more youth and women. How many clients have benefited from your enterprise to date? What impact did this create in their lives? We serve over 2 million users across the region, creating efficiencies in the transport, agriculture, consumer goods and healthcare value chains. We have seen the impact from the creation of jobs to increased incomes and profitability for people and businesses that we serve. President Kagame’s administration plans to transform Rwanda into a highly digitised middle-income country by 2020. Do you foresee this becoming a reality? What role is DMM.HeHe positioning itself to play in helping deliver this vision? We are optimistic about this vision and have aligned our strategies to contribute to its achievement. DMM.HeHe is digitizing several businesses in the above-mentioned value chains which are critical to our economy. We are particularly ecstatic about our work in the automation and modernization of traditional African markets. Being a 60% agrarian economy, the impact this service will have, from reducing post-harvest loss to increasing farmer incomes, is immense. This goes without mentioning the impact on other consumer goods sold in these markets. DMM.HeHe has also recently digitized Rwanda’s entire postal service, a significant contribution to Rwanda’s 2020 vision. What informed the decision to acquire leading e-commerce firm GroceWheels? Which initiatives are in place to ensure the firm becomes more efficient in service delivery? Seeing that GroceWheels was already in the last-mile grocery delivery business, we saw it as a way to get our feet wet in the last-mile delivery business. They already had a few consumers online who were willing to try out e-commerce services and early adopters help shape our products. What are the short and long-term goals of DMM.Hehe Ltd? DMM.HeHe is looking to spur the 4th Industrial Revolution in Africa by leveraging technology to create an efficient supply chain service to match demand and supply, enabling consumer goods manufacturers, distributors and retailers to reach the end consumer more conveniently while facilitating consumers to access a variety of goods conveniently. In Agriculture, our short-term goals are to see a reduction in post-harvest loss to less than 20% in the next few years while ensuring equitable participation for farmers. Currently, the loss is at about 40%. In the healthcare and consumer goods space, our goal is to reduce distribution costs from 50% to less than 10% of the final price, a cost that is often pushed to the end-consumer, making some basic goods such as soap and medical supplies inaccessible for most African buyers. Which challenges is the enterprise currently grappling with? How are you mitigating them? Low levels of digital literacy and high costs of technology infrastructure such as internet still contribute to slow growth in some parts of the continent. This is why our partnership with EKOCENTERS that will entail providing access to energy and internet connectivity, makes a lot of sense for us. We see this as one of the ways we are overcoming these challenges to reach more people. How does the future look like for DMM.HeHe Ltd? We have always wondered about the future as a company, which is why our tagline is ‘Invent the Future.’ The future will be what we are actively creating now. What’s next for 4G Network?